Often referred to as America's only true sports car, the Chevrolet Corvette is one of the world's best known and longest-running nameplates. It is America's only true sports car, the Chevrolet Corvette is one of the world's best known and longest-running nameplates. The first model, a convertible, was designed by Harley Earl and introduced at the GM Motorama in 1953 as a concept show car. The Corvette was born of the post-war sports-car boom, an optimistic time when nearly anything seemed possible, including the world's largest automaker building a two-seat "image" car. 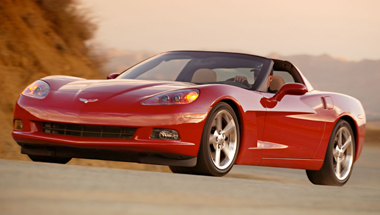 The last generation C6 Corvette retained the front engine - rear transmission design of the C5 but was virtually all new, including new bodywork with exposed headlamps (for the first time since 1962), a larger passenger compartment, a new 6.0 liter engine and a reworked suspension geometry. It has a longer wheelbase than the C5, but overall vehicle length and width are less to gain wider appeal to the European market. The 6.0 L LS2 V8 produced 400 hp at 6000 rpm and 424 lb·ft at 4400 rpm, giving the vehicle a 0-60 time of under 4.2 seconds. The C6 generation comes close to retaining the relative good fuel economy. The Z06 is distinguished from other Corvettes by lots of subtle appearance modifications, starting with the roof. It's fixed rather than removable, adding an extra element of structural stiffness for track driving. 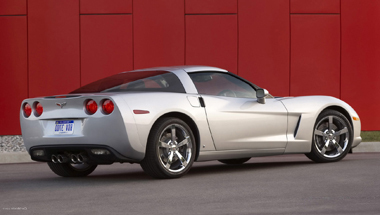 You'll never see a transparent roof panel on a Z06: it would add weight and increase the height of the center of gravity. In front, the Z06 has a wider, lower grille and a separate, unique air scoop above the bumper to shove more intake air under the hood. Its fenders are wider front and rear to cover massively wide tires and rims. In back, brake scoops are located in front of the rear wheels, the Z06 spoiler is slightly more prominent, and its exhaust outlets are wider, too. The cockpit boasts friendly ergonomics and comfortable seats. The car's hatchback body style provides massive cargo capacity, which stands at 22 cubic feet in the coupe. A choice of two suspensions (standard and optional Magnetic Ride Control with Sport and Touring modes) for the regular Corvette means there's a setup for everyone, and all provide a fairly smooth ride. The Corvette cabin features premium soft surfaces, nice grain in the materials and elegant tailoring. The dashboard is finished in a soft material that feels rich to the touch. Real metal accents are used, but they don't generate glare. The steering wheel is relatively small. It feels good in the hands and affords a good view of the instruments. The Corvette is available with a special two-tone leather package that adds leather upholstery to the top of the instrument panel, upper door panels, and console cover. The effect is a more elegant, higher end look than the Corvette has had in the past. One exception is the head-up display, which projects speed, rpm and even g-forces onto the windshield, a handy and entertaining feature. The upgrade Bose stereo system includes redundant controls on the steering wheel hub for most functions. 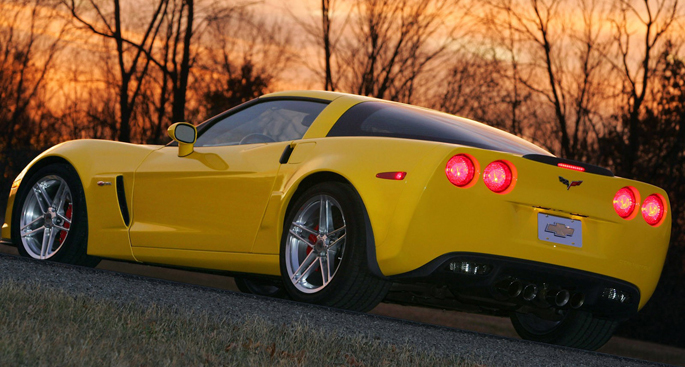 There's no need to take the key out of your pocket to unlock the Corvette or start its engine. Simply walk up and pull the door handle. With the keyless start feature, sensors detect your key and unlock the door. The Convertible's five-layer fabric top is available in three colors, and it offers power operation. The power top operates with a single-button control and completes its cycle in 18 seconds. The Corvette Convertible Accessories look good with the top up, and not so superb with the top down, with body-color and chrome trim that gives it a racy appearance.